Beauty guru, Trish McEvoy shares a few Summer to Fall Makeup Tips to help you easily transition your beauty routine for the upcoming season. With just a few simple beauty adjustments you’ll be ready to face the cool fall weather that will be here before you know it. EVEN SKIN – Be it a fake or a slight tan, a deeper complexion disguises imperfections. 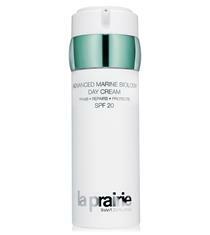 As you transition to a lighter skin tone for Fall/Winter, evening out your complexion becomes even more important. Use a foundation or skin-perfector with treatment benefits to help skin recover from summer wear and tear, and with hydrating properties in preparation for the drier weather. I’ll admit that as a blogger, I no longer have to slog through the elements in New York City. (Don’t be mad at me!) But I clearly remember the many springs I spent thrilled it was no longer icy and freezing, but still contending with sheets of rain and gusts of wind. Plus, I have bangs. Middle parted girls can deal with showers a bit more gracefully, but for girls with a “fringe,” spring is that much more volatile. Despite being an avid shopper (and spring baby), the season always snuck up on me unprepared. So if I were braving the elements again, here are five items I’d love in my arsenal of springtime gear. 2.) 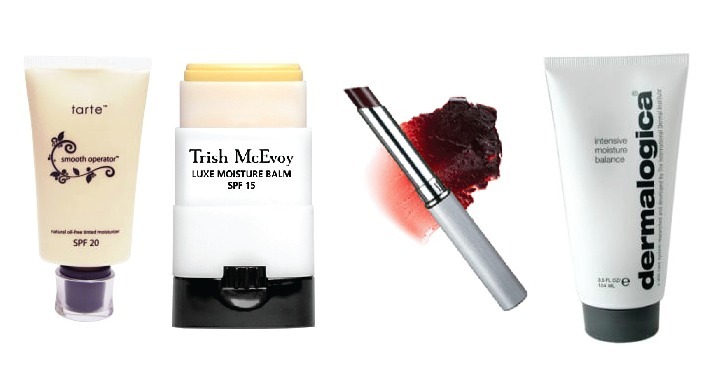 An aggressively pink lip gloss: It’s that time of winter where all you can think about is flowers, pastels and supremely pink lips, and this Trish McEvoy lipgloss with SPF 15, I think, may have inspired a Lil’ Mama song. 3.) A cloche to avoid wet hair: Cloches are timeless, but also sport a low brim to keep bangs dry. This one has a sturdy felt bow, with a matching, cheery lining. 5.) A sweet pendant: Another symbol of spring is adorable baby animals, and this delicate but noticeable silver fawn necklace is sweet and whimsical- perfect to brighten up a gray and kind of glum day. 6.) A coated canvas purse to keep tech toys dry: Coated canvas bags always have a bit of an air of usefulness to them, but if you’ve ever killed a cell phone by failing to screw a water bottle cap on all the way, you probably still panic a bit about your iPhone when you’re walking to the subway in a typhoon. Brooklyn Industries always has a selection of coated canvas totes that are well made and capacious, and this black and gray damask tote with a magenta lining is adorable and water resistant. What are you looking forward to wearing when you put away your winter gear? Which spring trends are you totally feeling? 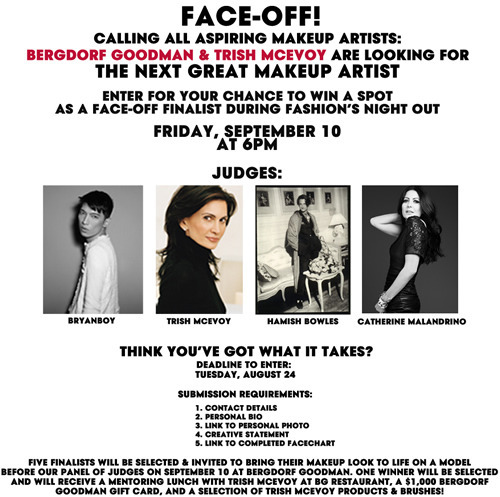 During Fashion’s Night Out, Bergdorf Goodman is o an amazing contest for the next great makeup artists. The winner will receive lunch with Trish McEvoy, $1,000 gift card from Berdorf Goodman and Trish McEvoy products and brushes. See details below! For more information on this amazing contest, see here. 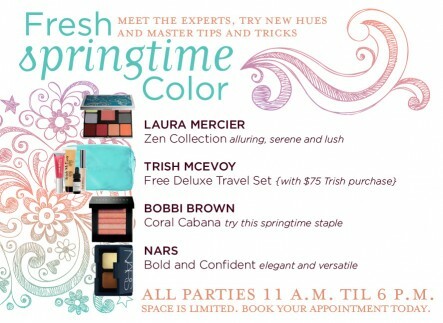 Meet Beauty Experts, Coming to a City near YOU! 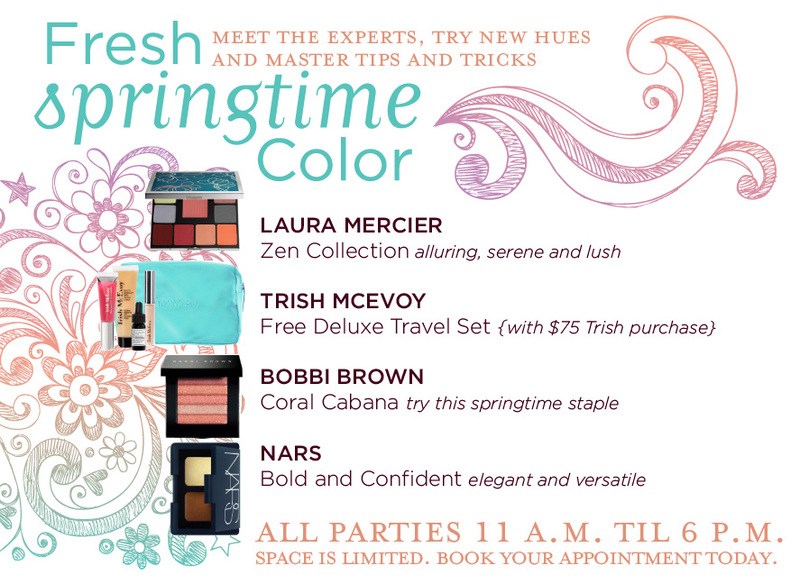 Thanks to Blue Mercury you can join Beauty experts from cosmetic brands: Laura Mercier, Trish McEvoy, Bobbi Brown and Nars to explore new Spring Summer colors and learn cool new tips and tricks. All events are from 11am – 6pm and are by RSVP only. Please call to book your appointment, these events will sell out soon! Please visit Blue Mercury for additional event locations.